The Knowledge for Change (K4C) global consortium was launched last week, at an exclusive session on June 22, 2017 at the Talloires Network Leaders Conference 2017, in Veracruz, Mexico. The session, titled ‘Knowledge for Change & Social Responsibility of Higher Education’ was jointly hosted by University of Victoria, Canada, and UNESCO Chair. President Jamie Cassels from University of Victoria, chaired the session, while Dr Tandon facilitated the proceedings and deliberations. 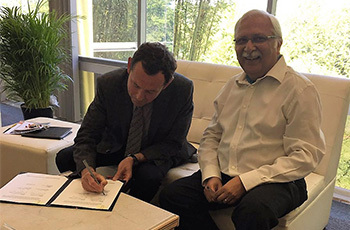 President Cassels & Dr Tandon also signed a Memorandum of Understanding (MoU), marking the official launch. K4C is an international partnered training initiative focused on: co-creation of knowledge,collective action by community groups and academics working together, expand individual and institutional research training capacities, build and mobilise new knowledge (processes of participatory research and community-university engagement, pedagogies of training community-based research) in diverse cultural contexts. 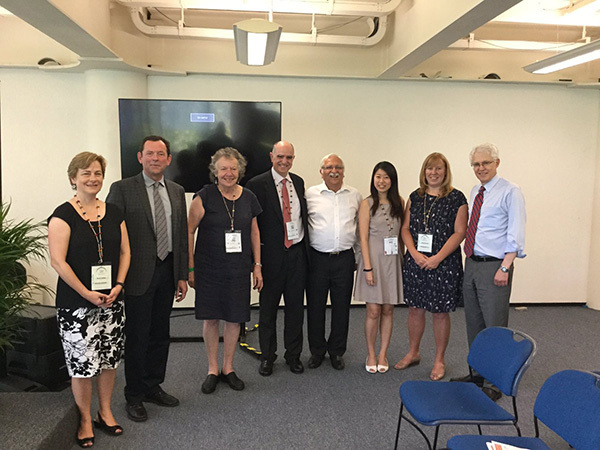 A number of UNESCO Chair’s & UVic’s partners and friends attended the session, including Prof Andrew Petter, President, Simon Fraser University, Canada; Dr Carol Ma, from the Singapore University of Social Sciences, Dr Anthony P Monaco, Chair, Talloires Network, Dr Norah Mcrae from UVic, among others.